Those cheekbones could cut glass. 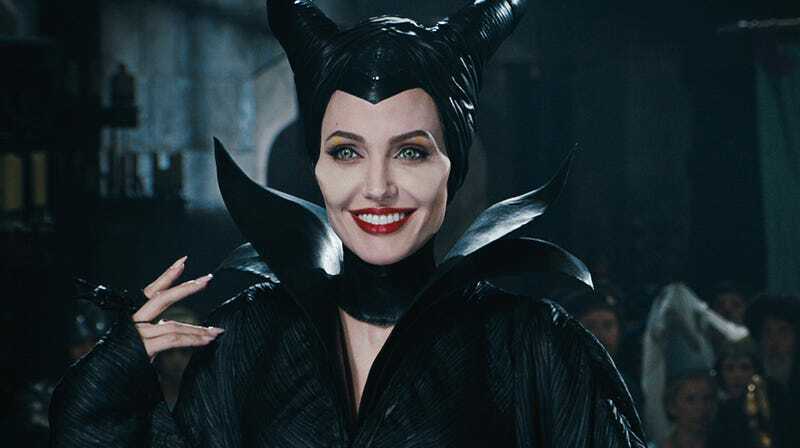 The first Maleficent movie was a surprise smash, raking in a ton of money and inspiring Disney to dive headfirst into creating a slew of live-action adaptations of its beloved animated films. Now, four years after the pointy cheekbones that started it all, we’re finally getting the long-promised sequel to a story that, honestly, kind of felt over already. Disney announced today that Maleficent II (yes, stylized as Roman numerals) is in production, with Angelina Jolie and Elle Fanning set to reprise their roles as Maleficent and Princess Aurora, respectively, along with Sam Riley, Imelda Staunton, Juno Temple, and Lesley Manville. Joining them this time around are Michelle Pfeiffer as Queen Ingrith, a (presumably) new role created for the film, Harris Dickinson as Prince Phillip (played by Brenton Thwaites in the first film), and Chiwetel Ejiofor, Ed Skrein, and Robert Lindsay in unspecified roles. Now, I wonder if you’re thinking what I’m thinking: Seriously, what more is there to say? Maleficent got its happily ever after, with Maleficent’s fairy wings restored and a peaceful accord established between the human and magical kingdoms. Well, I’m guessing that’s where Pfeiffer comes in. According to the plot description, the film takes places several years after the 2014 film, and has Maleficent and Aurora teaming up against outside threats. In addition to Maleficent II, Disney has several other live-action remakes in varying states of production. There’s Christopher Robin, a live-action adaptation of Winnie the Pooh that involves Christopher Robin as an adult; it’s set for release this August. Then there’s Dumbo, Aladdin, The Lion King, and Mulan, which are all in currently being worked on. Other possible remakes include The Sword in the Stone, Peter Pan, a Prince Charming film, Snow White, Pinocchio, Lady and the Tramp, Little Mermaid, a Jungle Book sequel, and a villain story about Cruella De Vil starring Emma Stone. In short, get ready for lots of these, folks. Maleficent II, directed by Joachim Rønning and written by Linda Woolverton, Micah Fitzerman-Blue, and Noah Harpster, does not have a release date as of yet.